I think that I am finally getting this whole online promotion thing down! I watch the results of everything I do and have found that posting to certain sites seems to bring in more traffic than others. Who would have thought that Twitter would bring more views than Facebook? I’m just learning Twitter and didn’t realize how popular it was! What a find for me! Everytime I post to Twitter, I get bunches of views! Don’t get me wrong…I still utilize Facebook and others on a rotating basis. Everything helps! One thing that I have noticed in the last few weeks is that I have had 6 hits on an item that I listed and sold last year. I suppose that I wasn’t aware that it would be so popular this year! I’m thinking that 6 searchs for a particular item is enough to produce more so, tomorrow, I will get started! In addition, what a great way to see what people are interested in so I can produce more of what’s in demand! Thankfully, I am fascinated with the internet and ecommerce so I hope to use it to continue to share my creations with the world! See you at my Etsy shop! 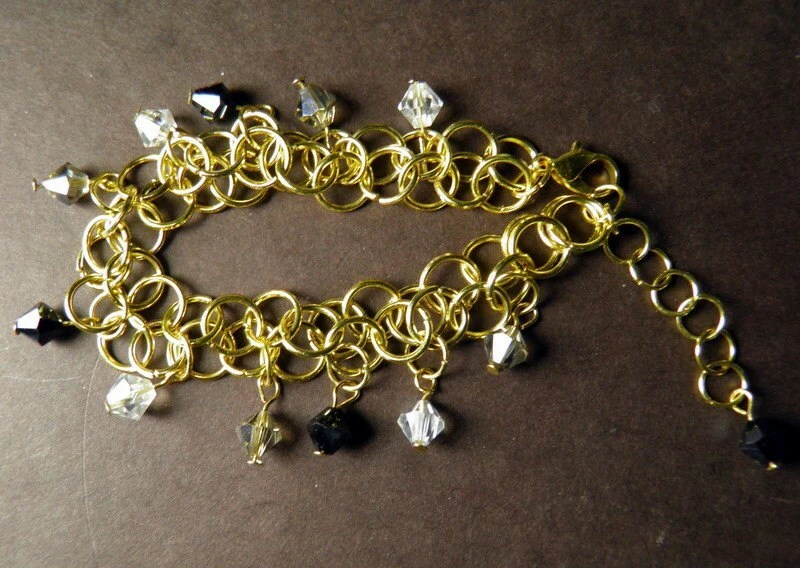 Okay…I talked about trying new things a couple of posts ago and I have just listed my first attempts at Chainmaille in my Etsy shop! It really is a simple attempt but I love the outcome and hope to continue on with some more complicated patterns. I choose to start slow because I don’t want to jump in and just get frustrated…I’ve learned that the hard way! Click on the pic for DeevineDeesigns on Etsy!